I made these lil’ beauties using a sweet cream biscuit dough that is tried, tested and seriously fool proof! ;) Several years ago, we found the recipe in a baking book called GREAT PIES AND TARTS. We have since modified the dough to our liking and used it in many different applications. It’s a WINNER for sure! Dough will be dry and coarse. Add the cream and vanilla mixture and mix just until combined. Dough maybe slightly tacky, roll out on floured surface to about 1/4 inch thick. 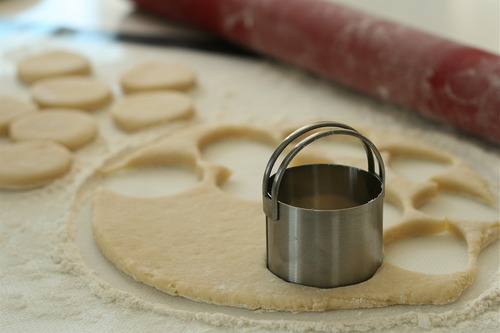 Cut with a 2” round biscuit or cookie cutter. Place on greased cookie sheet and into the oven for 12-15 min. 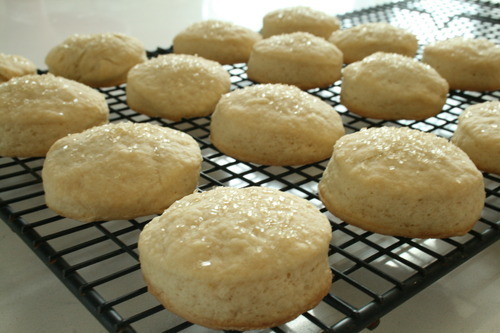 Sprinkle a little raw sugar on top of each biscuit. Let cool on wire rack or paper grocery bag. 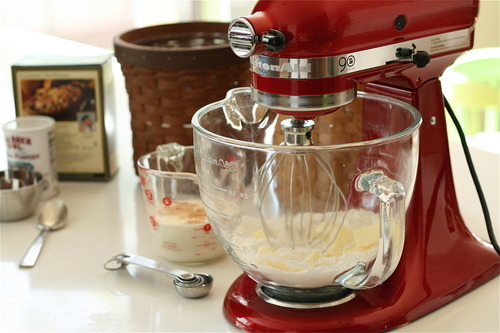 Whip a pint of heavy cream to soft peaks and add 1/2 cup granulated sugar. 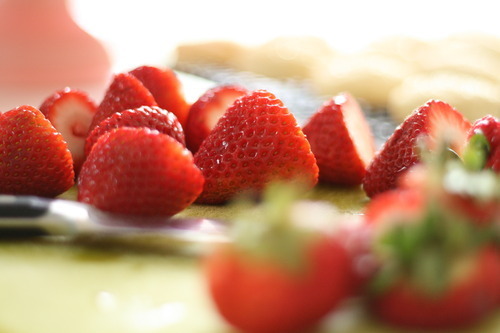 Rinse and dry strawberries, remove stems and cut into 4 or 5 slices. Cut each biscuit in half horizontally. 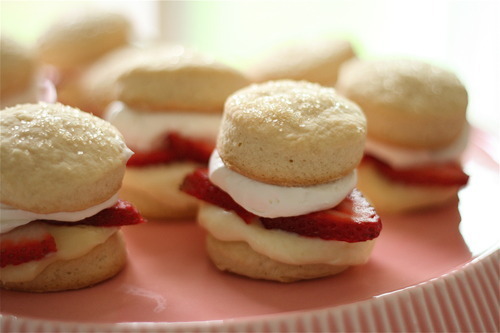 Assemble shortcakes however you prefer. I do it with 3 slices of strawberry per biscuit points facing out. Dollop whipped cream on top of berries and then top of biscuit. And Voila! YOU.ARE.FINISHED! 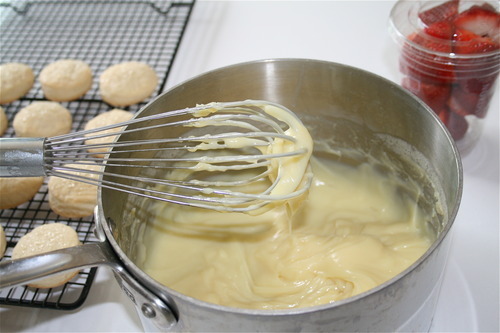 But if you want to be extra fancy, here is the recipe for easy pastry cream mousseline. You can just dollop it on the base, then add strawberries and whipped cream. This is a recipe I got from Scottsdale Culinary Institute where I went to school. It is yummy, yummy and I’ve used it in several different ways! Or to be quick use white chocolate pudding! 1. In medium saucepan dissolve sugar in milk and bring just to boil. 7. Pour into clean container, put sarawrap right on surface of pudding to prevent skin forming and store in the fridge. Once cool fold in a 1/2 cup of whipped heavy cream.